For decades the fast food industry has been slammed for delivering "heart attacks in a bun" to the paying public, but that has been changing slowly over the past decade. The introduction of Salad and the option of Apple Dippers, has made fast food that much healthier to those who choose it. 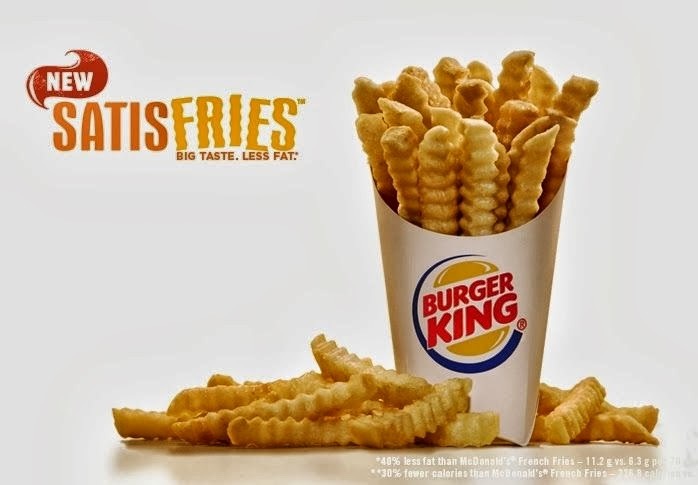 One of the biggest global fast food enterprises, Burger King, has made a bold move to expand their customers healthful options with the introduction of 'Satisfries'. A new kind of fry which according to BK offers all the flavor of a traditional fry but with 40% less fat and 30% fewer calories (compared to their main competitor). Plus they are crinkled, to avoid confusion I would suspect. This reminds me of the line about the lady ordering 2 Big Macs and a DIET coke. If you are serious about eating more healthy, less calorific foods then stay away from fast food. These are just advertising gimmicks to get you to not give your entire 'dining out' budget to the other guys. I took advantage of the BK free Satisfries offer and got to try these healthy fried potato crinkles. They were awful. I don't know if they were undercooked, but they were soggy on the inside and did not taste like the fry I know and love. I wonder if maybe they were pumping out so many free fries that they were cutting corners, or if this is how they taste because of the lower fat content. 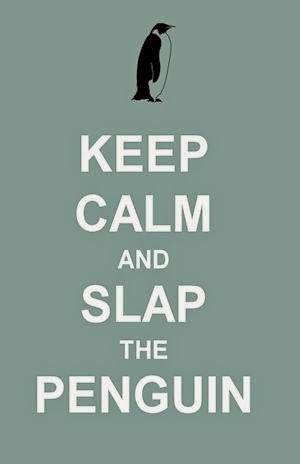 Maybe that's it... they don't sit in the deep fat fryer as long so they don't absorb as much oil so they are healthier. Maybe the next step is to not fry them at all. "Announcing the new healthier 100% fat free, UnFries." Either way, I won't be tucking in to these new healthier fries from BK anytime soon. 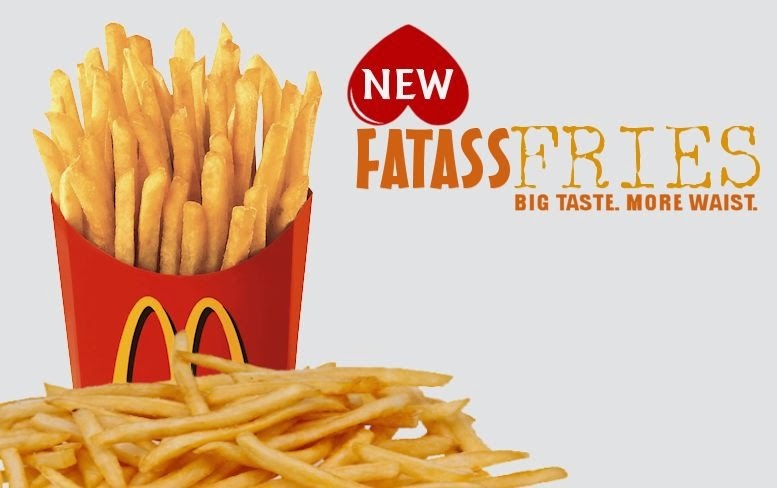 You can keep your Satisfries, I will stick to my Fatassfries. Have you tried Satisfries yet? Which fries do you prefer? Share below.